There is no reason to ever buy furniture that isn’t made in America. Let me say that again. There is no reason to ever buy furniture that isn’t made in America. Here in Seattle, the furniture company for those in the know is McKinnon Furniture. They make absolutely stunning tables, chairs, chest-of-drawers, you name it. The fine State of Oregon, home of my mum and my sister, produces lots of wonderful furniture. And furniture has always been a fixture in North Carolina. So I was delighted to read a recent article about a furniture tradition being reborn in the Tar Heel State. Bruce Cochrane’s family built furniture for generations in North Carolina but eventually their factory was shuttered. Bruce helped people make furniture in the Middle Kingdom, but he wanted to make furniture in the community where his family had been a fixture for five generations. And he did just that. 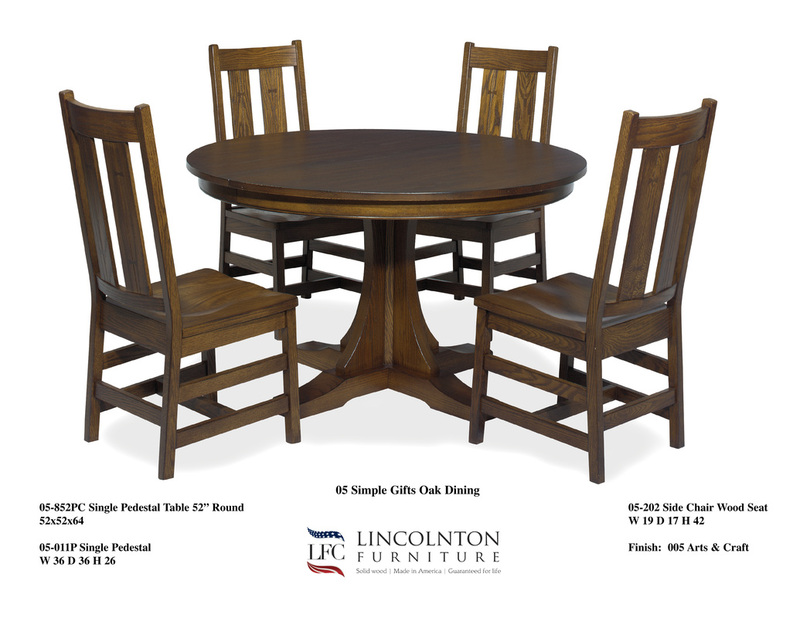 His new firm, Lincolnton Furniture Co., employs 55 members of our extended American family. Domestic furniture manufacturers have a big advantage over furniture firms in China. You order an American end table, you get it in 30 days. Chinese end tables will rumble in the showroom door 3-4 months after being ordered. And if there is a problem with your Chinese furniture, good luck getting that addressed in a timely way. Take my word for it, American furniture is the way to go. Now get shopping! This entry was posted in american made, Furniture, Made in America, made in usa, Reshoring and tagged China, Furniture, Made in America, Made in the USA, North Carolina, Reshoring. Bookmark the permalink.